Chigasaki Style: Bicycles, bicycles, bicycles. Living in Japan has its own set of problems, at times. 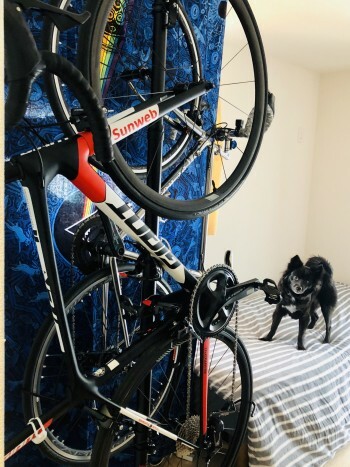 Space can be a real deterrent to a clean living space, and three bicycles are rather large items to try and keep from dominating an apartment. For those who live in big houses, I’m jealous. For those of us who live in smaller dwellings, here’s an example of my own space usage. 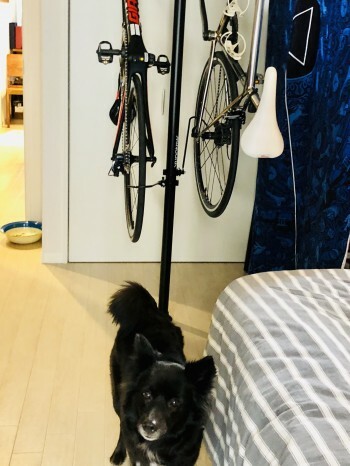 I also have a Brompton foldie, which is a great bicycle for taking on trains and riding, ie, from the shonan area, to Tokyo or Yokohama for rides around the big cities. 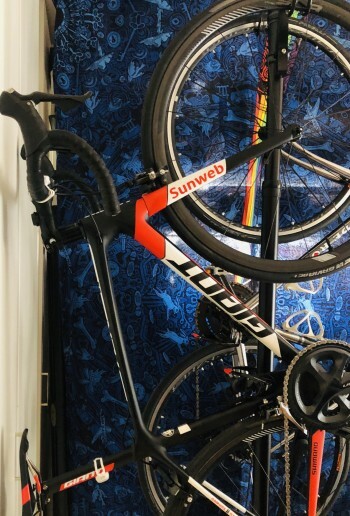 It’s compact, and rides well, a great combination for a take along type bike. 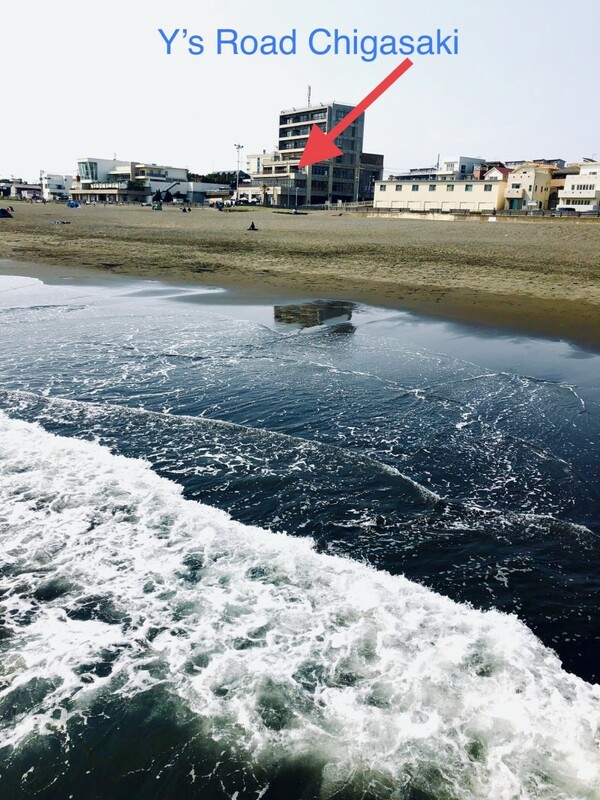 Currently, Y’s Road Chigasaki does not have Brompton in stock , but will begin selling them within a month, or so, and can be currently special ordered. 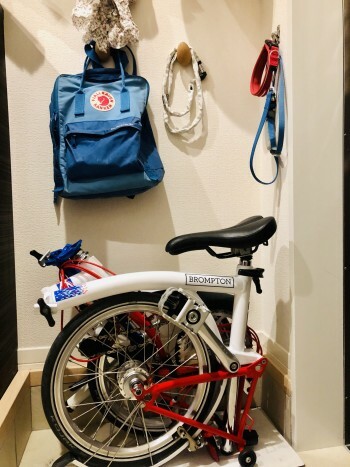 In my apt., the Brompton folds nicely into a corner of the entrance area. 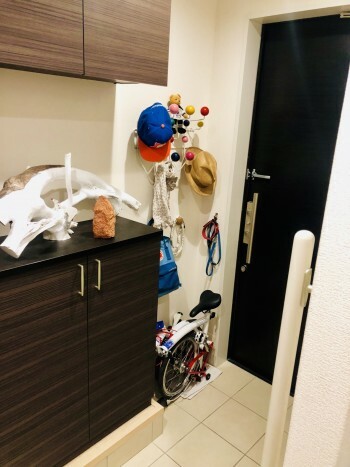 It is a huge advantage of Brompton over other foldies in its functionality. 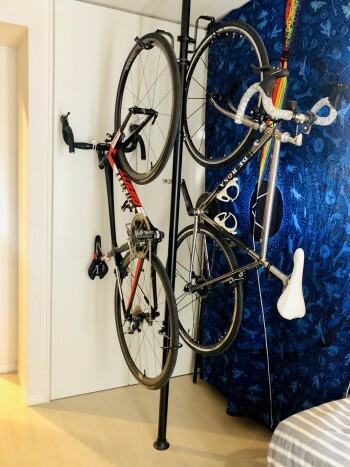 So, just wanted to show an option of how to do bicycle storage in tight spaces, without leaving the bicycles in the living room on in bothersome places.